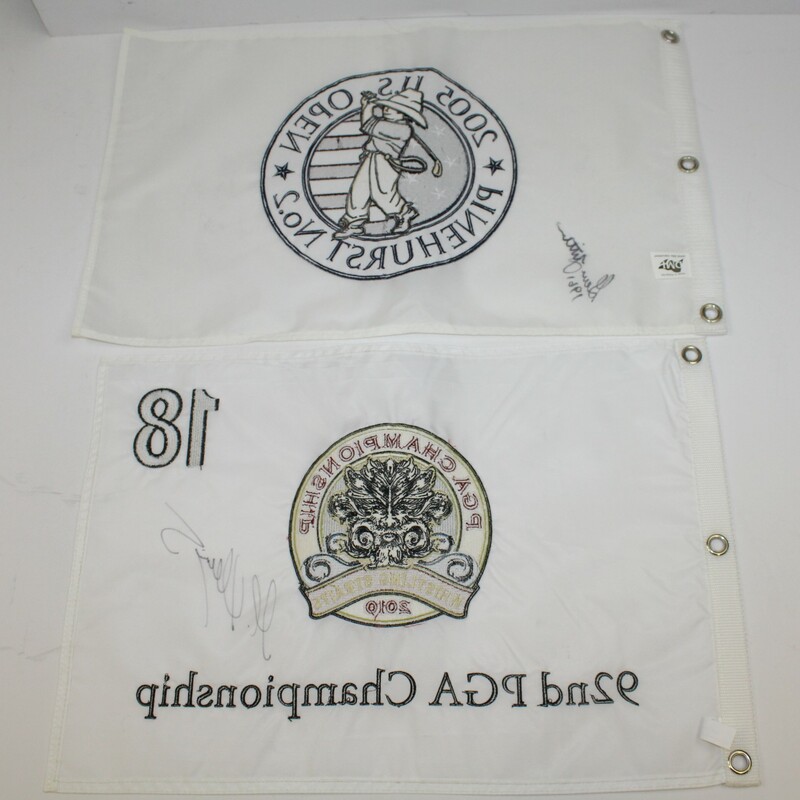 Three flags from Major tournaments are offered in this lot, signed by Martin Kaymer and Gene Littler. Kaymer won his first Major championship at the 2010 PGA Championship at Whistling Straights in a three-hole playoff over Bubba Watson. A flags from his second Major title, the 2014 US Open, also is in this lot. The two-time Major winner signed the flags in black Sharpie. Littler's lone Major title came at Oakland Hills Country Club at the 1961 U.S. Open, where he held off Bob Goalby and Doug Sanders by a stroke. He signed this 2005 U.S. Open at Pinehurst No. 2 flag in black Sharpie with '1961' written below the autograph.